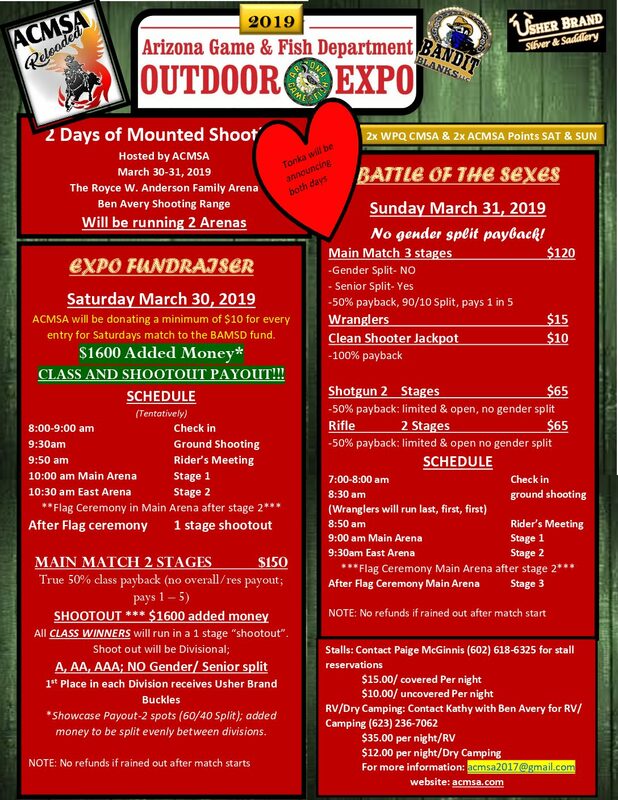 The Winter Range Mounted Shoot will be held on Saturday, February 23rd – Sunday, February 24th, 2019 in Phoenix, Arizona. This Phoenix rodeo is held at Ben Avery's and hosted by Arizona Cowboy Mounted Shooters Association. There will be 3 Event Stages during this Mounted Shoot.